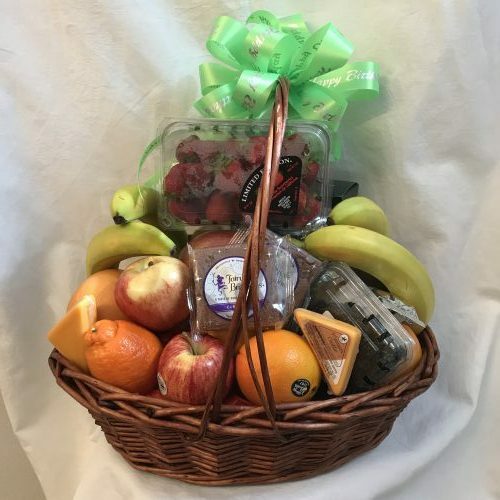 Fresh naval oranges, grapefruit, bananas, Ambrosia apple, Fugi Apples, Gala apples, kiwi, blackberries, red pears, green pears, brownies, cookies, Brie cheese spread, water crackers, cheddar cheese, strawberries. 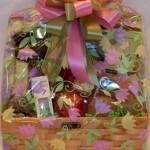 Completed with cello wrap and hand tied bow. 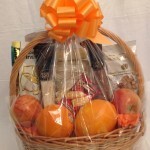 This basket contains a great variety of fresh fruit. 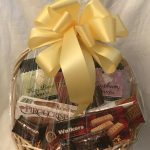 The addition of cheeses and crackers and the luscious brownies continue to delight the palate. 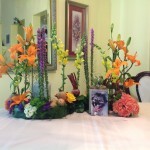 Appropriate for any occasion such as birthdays, anniversary, vacation treat for Las Vegas visitors or condolence. Same day local delivery when ordered before 11:00 a.m.